Teachers set their own rates and schedules, you may pay them directly. Kids after school lessons are by the semester, 17 weeks with two weeks of make-ups and there is an available installment plan. You can start any time. The first lesson is a try-out lesson and we have a trial month before you decide. 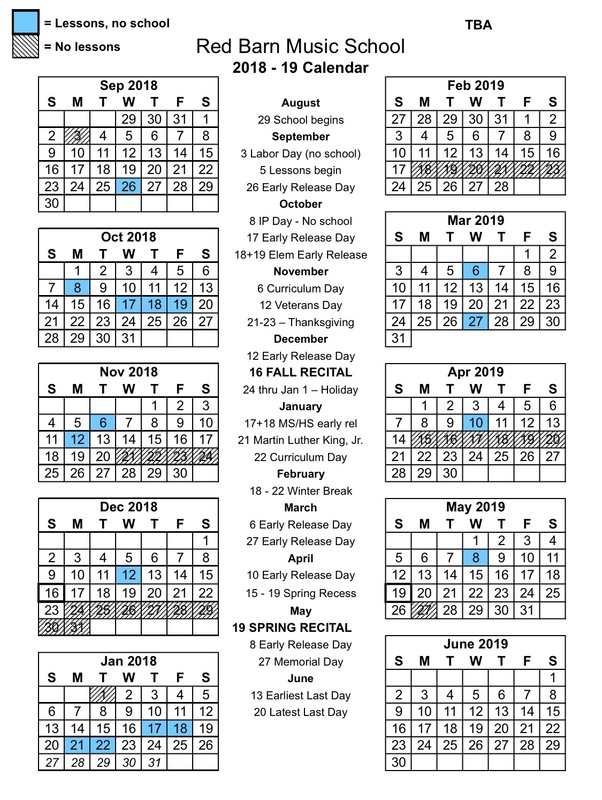 Our calendar runs along with the Amherst Schools calendar, by day, see below. Adults may take by the month or semester. Please read our policies. CLICK HERE to download our Payment Policies & Guidelines.